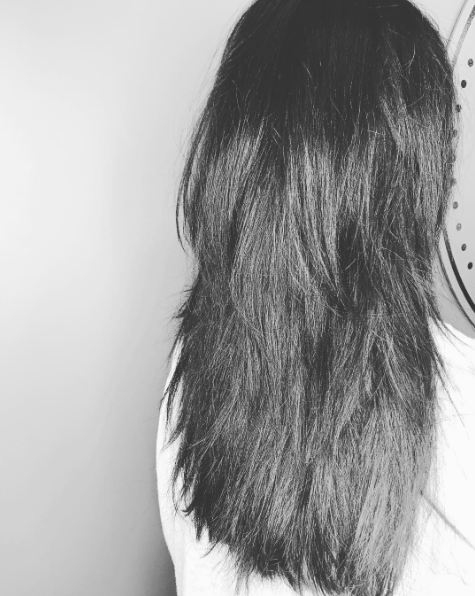 Having long hair is fabulous until the time comes to decide what you want to do with it. There are so many colors to choose from, and so many cuts too. 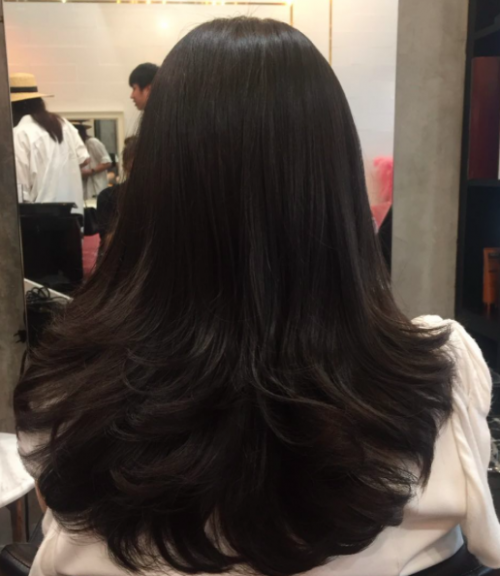 Although, admittedly, you are somewhat cut off from certain styles if you don’t want to lose any of the length of your lovely locks. 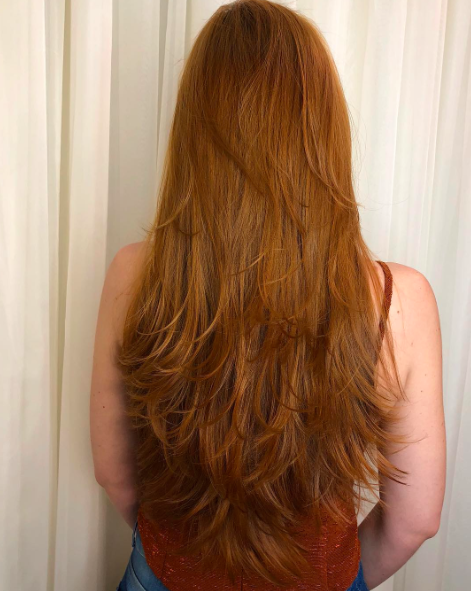 How about some long layered haircuts, however? They are perfect for when you want to keep the length but inject some style. We’ve got a few looks that are definitely worth taking a sneaky peek at, especially if you’re on the hunt for some hair inspiration. A mixture of layers is the perfect secret ingredient to give your hair plenty of movement, texture and bounce. 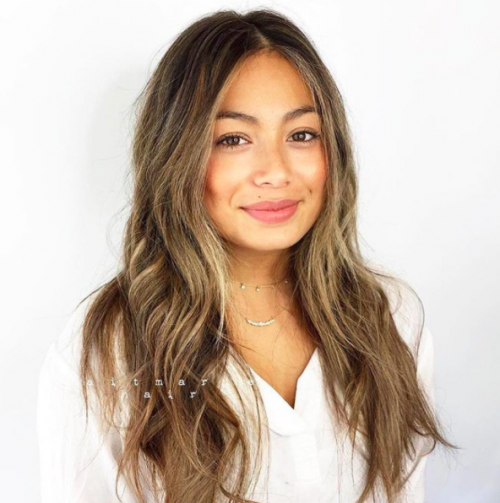 For the best effect, start the layers off so that they frame your face, and finish the layers off at the ends of the hair, giving you plenty of framed tendrils that flatter perfectly. 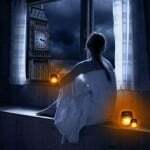 Longer hair tends to be really quite heavy, and that’s when the hair becomes so heavy that it just lies flat and lifeless. 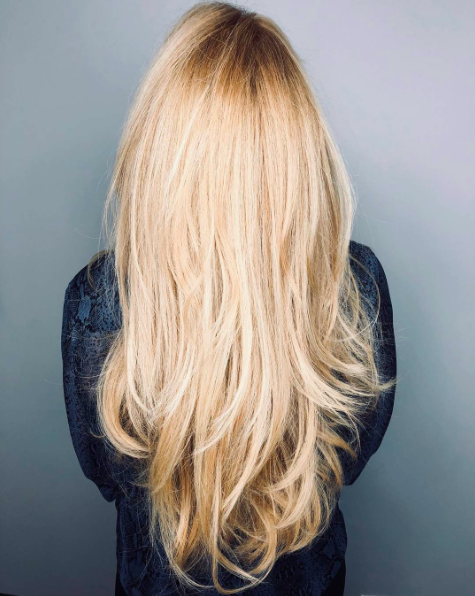 To take away some of the bulk without losing any of the length, a few layers added to the very ends of your hair can help to give extra movements. When you combine this trick with some simple curling, you have a winning combination. If you already have waves in your hair naturally, learn to work with them. When you try to straighten them out, you’re trying to change the direction of your locks. When you learn to work with, rather than against, you’ll have a much better time of things when you style your locks in the morning. As well as that, styling will be quicker, and your hair will look much better because of it. Working out your face shape is a good idea before you start planning what long layered haircuts you should go for. This is why a consultation with your stylist is always important before agreeing any final decisions. You should listen to your stylist too — if they suggest it’s a bad idea, listen to the reasons they give before dismissing them and choosing someone else to work with. 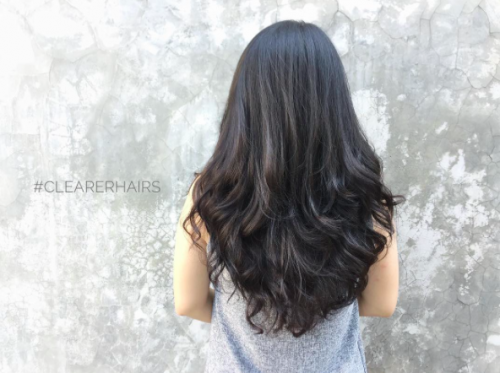 The perfect long layered haircuts mean working out so much than just the cut alone. The cut, on it’s own, won’t look anywhere near as good as this picture unless you have the right colour combination to go along with it. When you’re opting for lighter shades in your long layered haircuts, make sure you’re protecting your hair in the best ways. 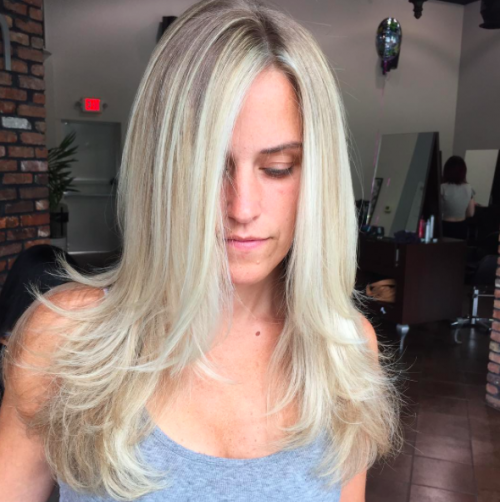 If you are going blonde or light for the first time in a long time, you should be aware that maintenance of your look will be quintessential for how long the style comes across as salon-perfect for. 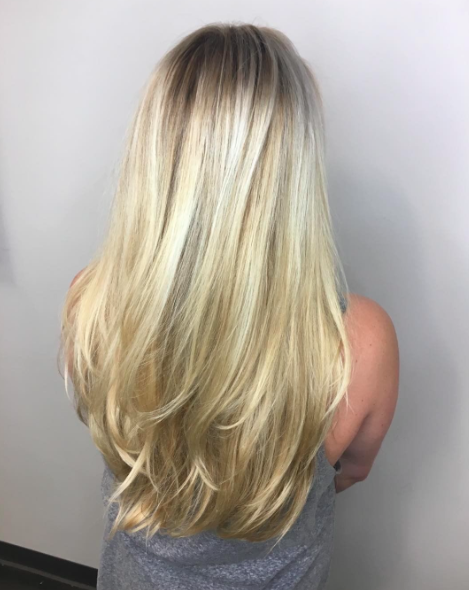 Staggered lengths helps to give you plenty of movement in otherwise boring, one-length hair, a perfect tip for when you want to wear your hair straight and long. In fact, Drew Barrymore has rocked this style a number of times, a big fan of these long layered haircuts herself. Adding the right product is the perfect way to avoid using heated styling tools when you have long hair in great condition and you’d quite like to keep it that way. Using hairspray scrunched through your hair, or a good sea-salt spray, is perfect for adding texture and curls, without the need for heat. Braiding your hair the night before and then working with the natural waves that are left is also a very neat trick. 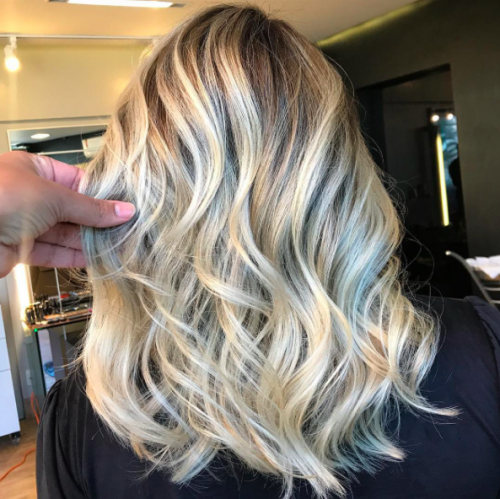 In order to get the right finished look, we recommend that you take as many photos and images of the desired result as you can to your stylist. Sometimes it’s much easier to show in pictures what you can’t say in words, especially when you don’t know the technical terms for everything. 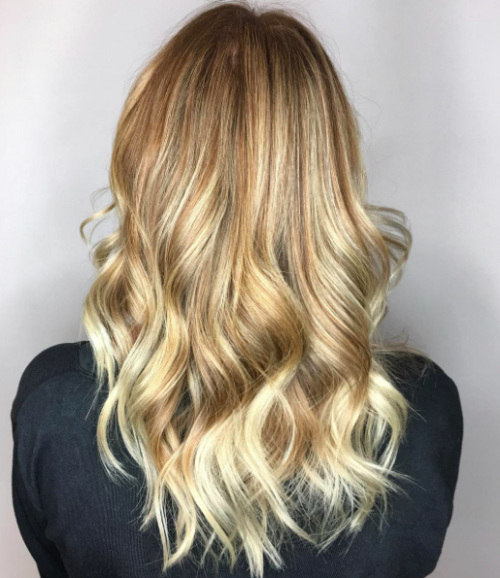 Start yourself a Pinterest board with all your new hair inspiration pictures and use that to give your stylist the right idea. If you don’t have long hair, but want long hair, extensions are great. You will need to make sure that you pick decent, good-quality extensions so that your hair looks real and not synthetic. However, many hair extensions these days can be dyed, cut and styled just like your natural hair, giving you a mass of ways to rock any number of different hairstyles. 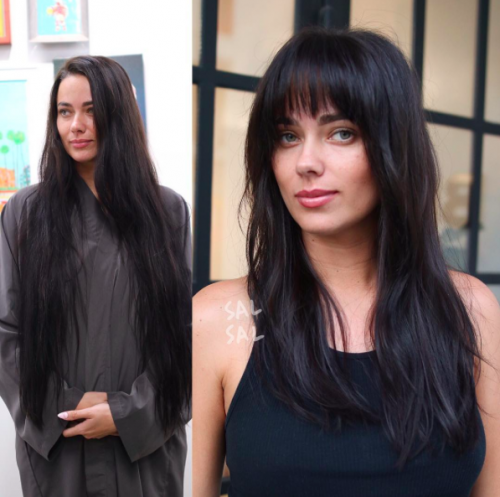 If you have thick, long hair and still want to inject a few layers, opt for layers that frame the face in a really flattering way, and then add some wispy side bangs into the mix, just to spice things up. Just as there are so many types of layers you could choose from, there are also plenty of bang-styles. You just need to find the right combo that works for you. This one might just be it. 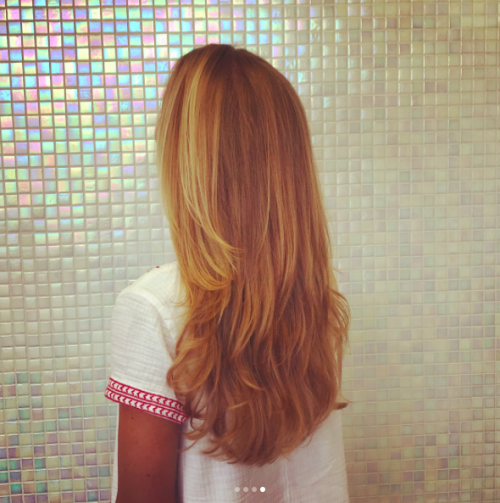 If you’d rather your long locks didn’t fall lifeless and flat, light layers at the end provides the perfect solution. Blow those light layers out away from the face, and you have a long layered look that is flattering for all face shapes. It’s like the ‘Rachel’ — you know, Rachel from Friends when she had *that* iconic look. This ‘Rachel’ has been updated, however, with a beautiful blend of colours and tones, and a cut that kills it for the modern woman. If you want to rock longer bangs with your long layered haircuts, start your layers further down the hair — below the chin. If you don’t, you run the risk of ending up with a 70’s style flick-out look. That’s a fab look, don’t get us wrong, but if that’s not the look you’re going for, you might end up quite disappointed. 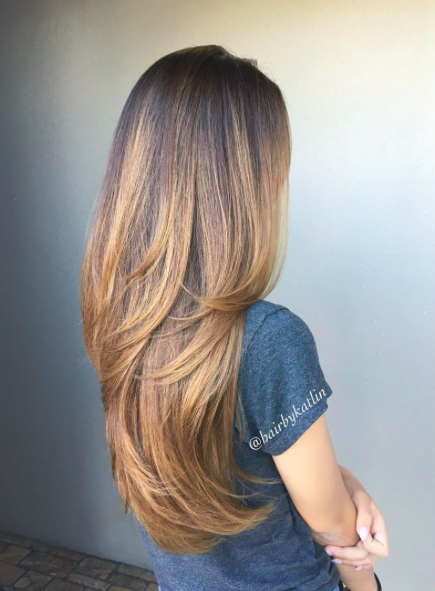 To add an extra hint of something special to your long layered haircuts, have some highlights thrown in. There are plenty of celebs who support this great hair trick — perfect for making thin hair look bouncier and more full of life. 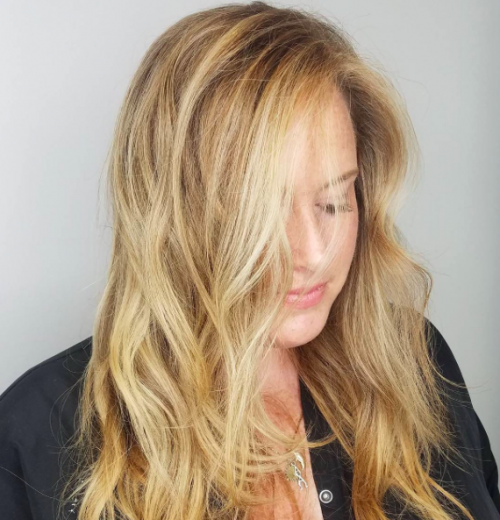 Honey and golden shaded highlights towards the end of your locks really work with the soft layers, and is a great trick for lightening up your look without going blonde or light all-over. 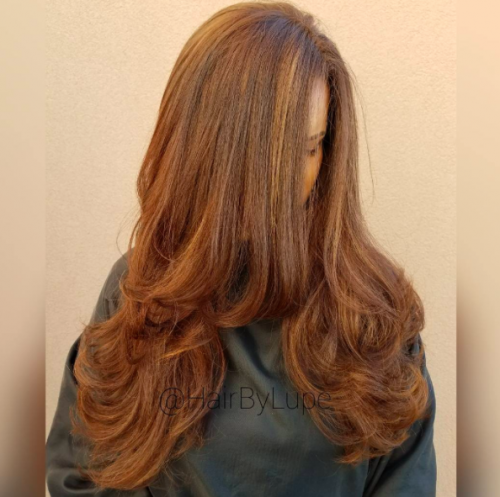 Light layers like the ones you can see at the end of this cut are perfect for adding some volume when your hair is seriously lacking in it. 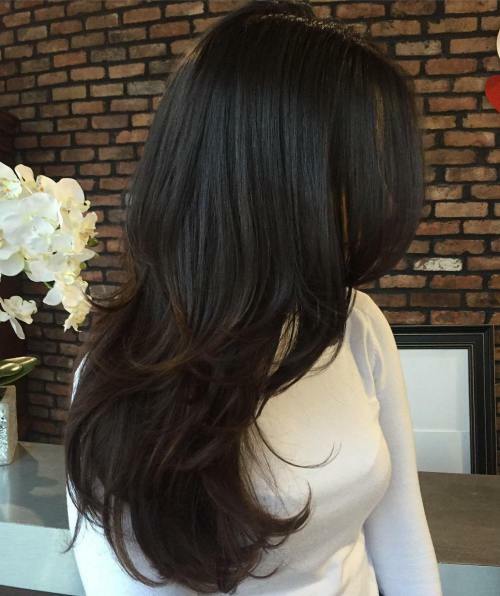 Fine and limp hair can really benefit from a few light layers, and this is a great picture to use as inspiration. 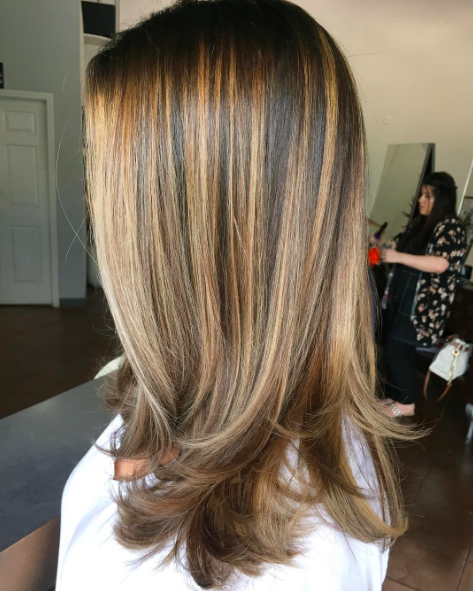 Show your hair stylist what kind of layers you’d like, as many as you can find to show, and you’ll be much happier with the end result. 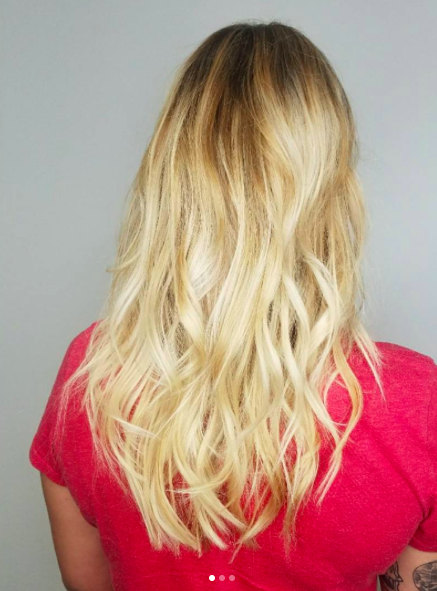 Mermaid curls are perfect for those with thicker, long hair with layers. Chrissy Teigen, for example, was a big fan of this look. The cascading waves are easily achieved with large heated rollers, or even braiding the hair into large braids and let to dry. It’s such a natural, sea look, it’s perfect for the mermaids among you. Know where your most flattering parting is, and if you don’t know, ask your hairstylist to give you a hand. The point is to find the most flattering parting and then cut the layers into the hair following it. 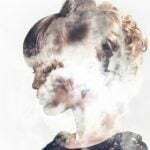 When you wake up in the morning, your hair will naturally fall in that way, and once your hair has been cut with that style in mind, it will be super easy to work with in the mornings. As well as longer layers on thicker hair, thick, loose and beachy-style waves also work excellently. 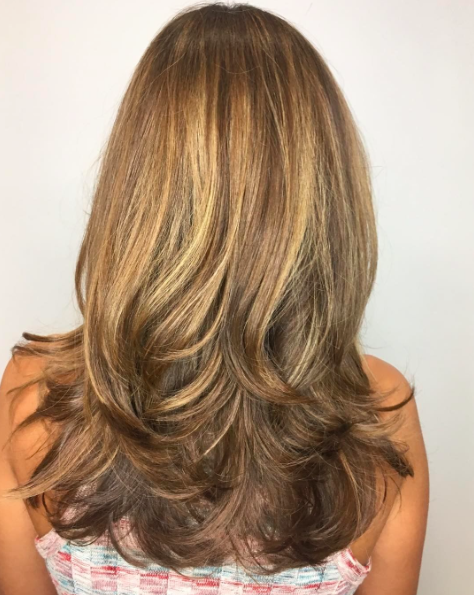 Just like with other flattering, long layered haircuts, make sure the layers start from the most flattering point — usually at chin length or below. You don’t need to grab any extra heated styling tools passed the hairdryer point if you opt for long layered haircuts like this one. You could easily recreate this look with your hairdryer and a good, round brush. Layers help in a number of ways, not just to add volume and oomph to a flat style. Layers can also help to grow out a style. 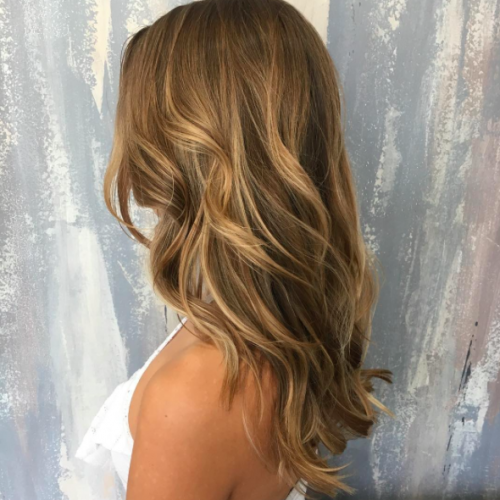 If you have recently opted for a balayage, for example, and you would like to cut off the dry, dead and bleach-blonde ends, you could do so, adding layers this like to help feather and flatter. The same works for growing out bangs too – simply grow them out into flattering layers around the face. 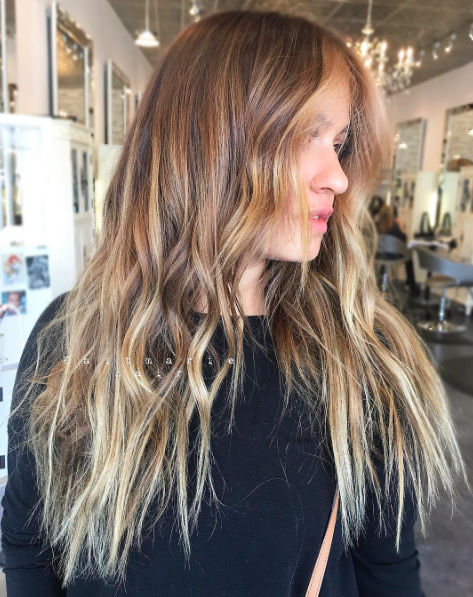 Adding a few sun-kissed highlights is the perfect way to update long layered haircuts like this one, and Jennifer Lawrence is a very big fan of this kind of look. She may slip up on the red carpet from time to time, but she has never slipped up when it comes to hair fashion. If it’s good enough for J-Law, it’s good enough for us! 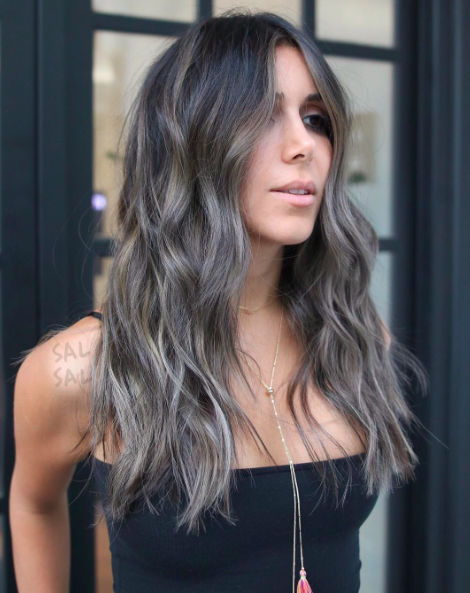 If you want a look that is perfect for taking your darker locks to the lighter side, this one is most definitely it. 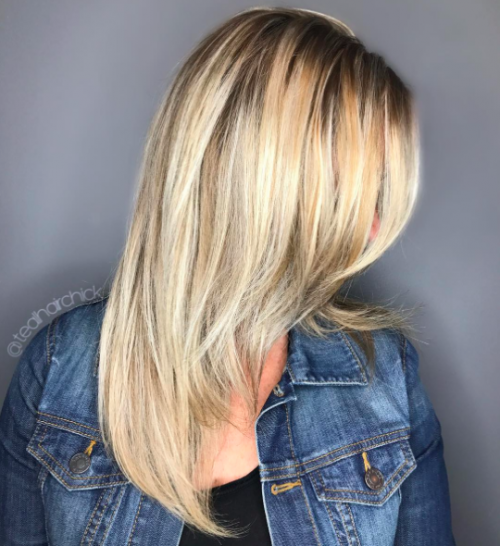 Everyone knows that you usually won’t be lucky enough to go from very dark to very light in one sitting, and this half-way melted look is the perfect compromise. It also gives you a few weeks of letting your hair relax before you start lightening it all again. 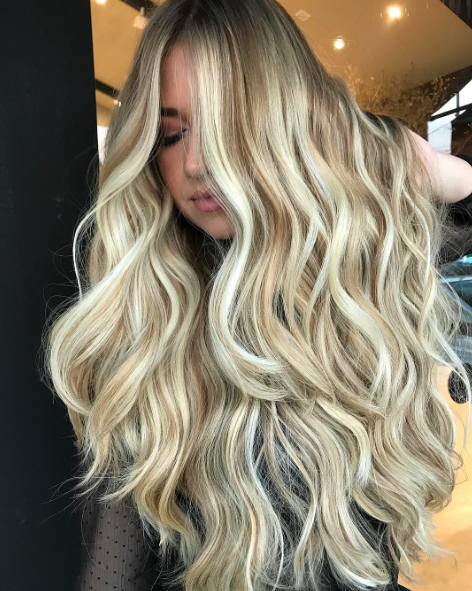 If you are going to regularly use heated styling tools, such as your curling irons, to achieve looks like this long and layered design, make sure you’re also using an additional heat protection product. Lots of heat means lots of damage. When your hair becomes damaged, it won’t look this good for very long. If you have a heart-shaped face, you’re joining the likes of Taylor Swift. If you want to get some great inspiration for long layered haircuts for heart-shaped faces, look to her past hairstyles. She’s rocked her long and layered locks with full bangs, a look that would be quite harsh and severe on this face shape, if it weren’t for those tapered layers that are allowed to gently fall from the jaw down. There are no bangs here, but the same layering rule applies. When you have thin hair and a round face, opting for layers can seem like a dangerous choice. Layers generally add more bulk, and if those layers frame the face and flick out, the result will be accentuated roundness. To combat this, opt for layers that are kept entirely away from the face. The closer to the ends of your hair you put them, the more flattering they will be. Longer layers are perfect for women with round faces because they stop that “ballooning” effect that the shorter layers can have. Keep them long — the further away from your face, the better. This look shows you how to do just that. Keep your highlights neutral and natural and let your cut do the talking with a cool look like this one. 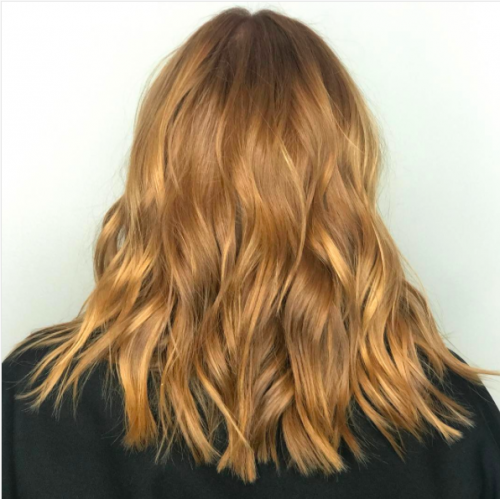 Add some curls or keep it straight, that’s down to you, but this look is not only universally flattering, but also super easy to style in a number of different ways. Long hair and layers go hand in hand. It’s as if they were made for each other. Sarah Jessica Parker knows that the right way to wear long hair is with a few light layers, and you can rock the look too, with flattering face-framing highlights. 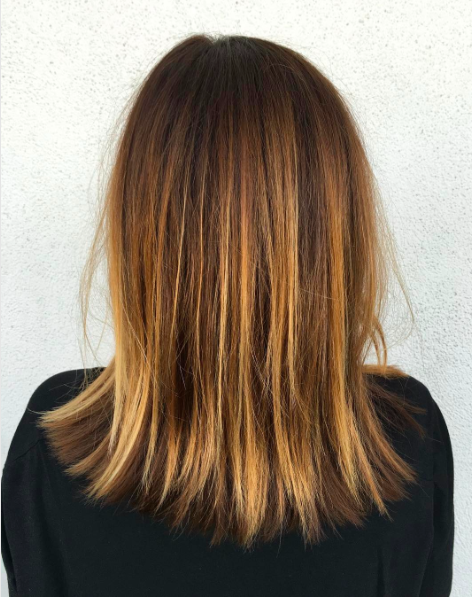 Choppy layers at the end of your hair helps to add dimension and texture, as well as movement and bounce, whether you rock the look with a straight or curly finish. 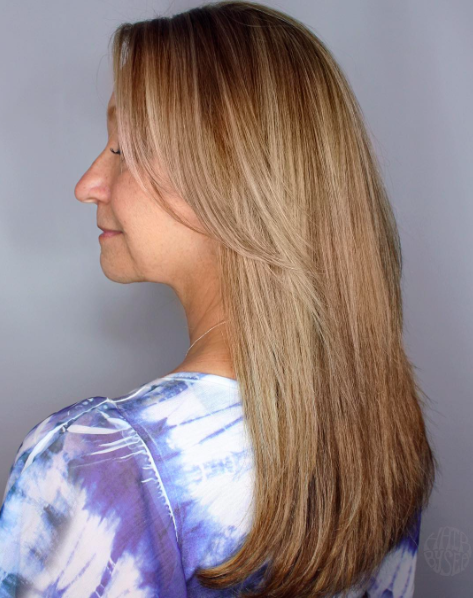 Ask your stylist for a choppier finish to your layers if you want a more regular look, but more modernised. If you’re rocking a long face shape, you’re joining Emma Stone. She’s known her her bright and bold hair colour choices, and her medium and shorter styles, but there are a few longer looks in there, and long layered looks too. Flighty and flirty bangs, swept over to the side, are a great way of incorporating the start of your layers into a look like this one. 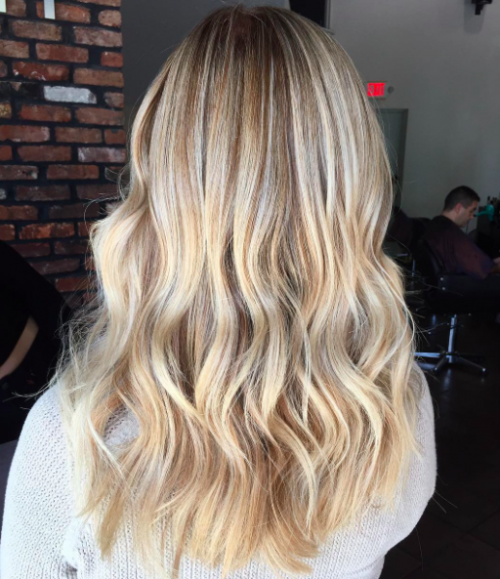 The clever blending of these balayage blonde looks make the perfect addition for any long and layered cut. 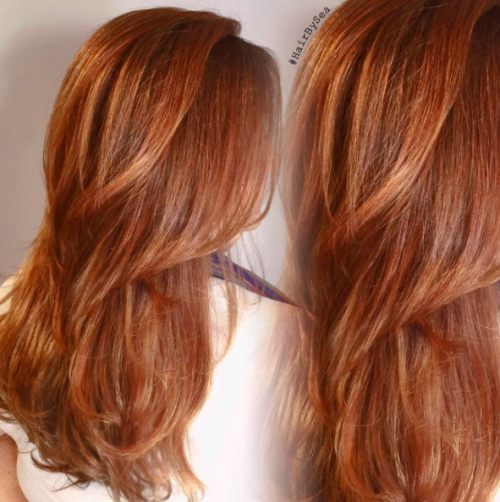 Work withy our stylist to work out the best tones to use to really bring your look to life. Rather than adding curls to your hair, using curling tongs or flat irons, add a wave instead. It’s generally considered more glamorous, just in case you’re on the hunt for something to match a formal or sophisticated occasion. If you have a square face with a strong chin, you should look for layers that are feathered around that area. They work to soften the straight lines and contours. Olivia Wilde is another square-faced chicka, so make sure you check out her latest long layered haircuts too. 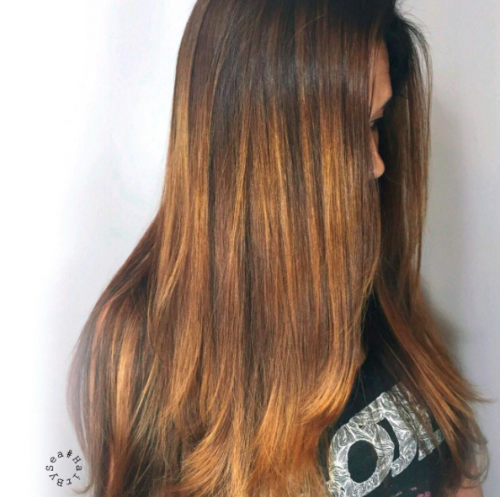 One way to help bring fine hair to life is to work an ombre to bring the lower-length layers to life. 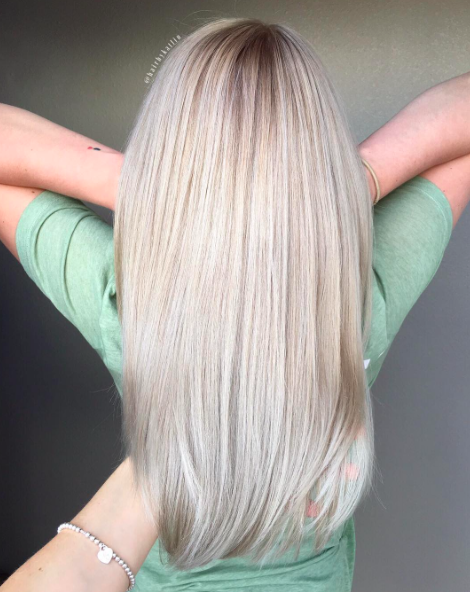 The way these tones catch the light is so beautiful, you’d never have known that this hair started off quite flat. 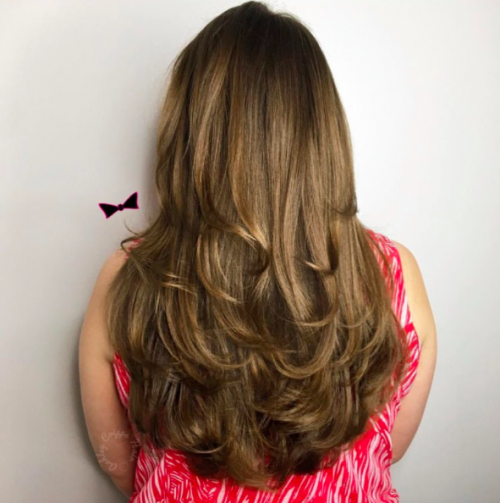 Using a curl or wave enhancer in your hair before styling will eliminate the need for any heated styling tools, and also works well with your longer, layered locks to add more volume and dimension. 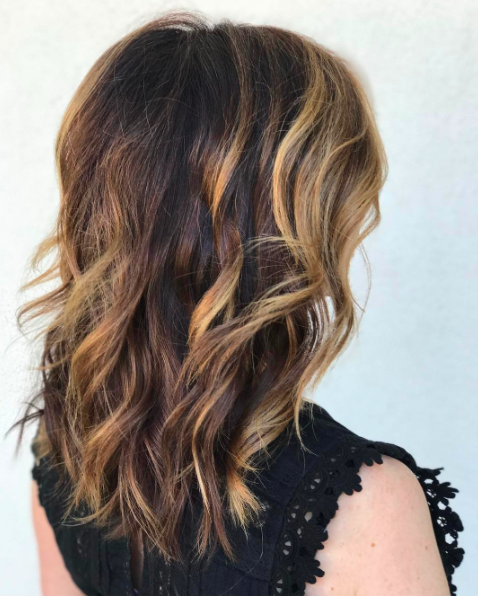 Mixing a range of tones in with your layers is a great way to draw attention to your new do, but these layered looks could be used to grow out shorter looks too. The pixie crop, for example, could easily be grown into a graduated bob, a messy lob, and then this beautiful longer look. Eventually, you could just trim to get everything back to the same length again, free to add mroe long layered haircuts should you wish to. If you want to add texture to your hair, add layers and then tousel them up so they don’t all fall in the right place and direction. The mussed-up look is a modern one, but it’s also one that can look very glamorous when it’s done the right way. 40 – Layer it Up! Last but certainly not least, let’s go nuts with the lower-end layers to give you a bouncing and beautiful look like this one. Oerfect for thicker and thinner hair alike, it’s also a look that could easily be achieved using the right combination of hair pieces and extensions.